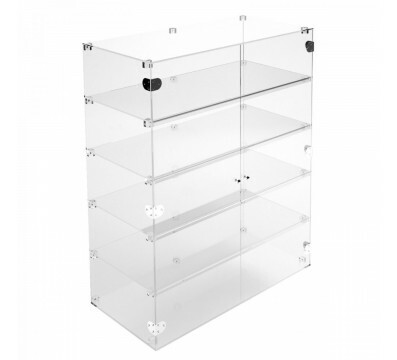 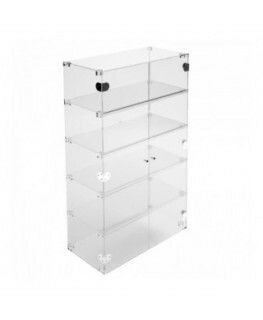 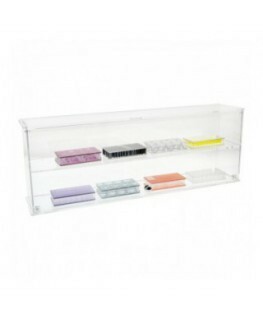 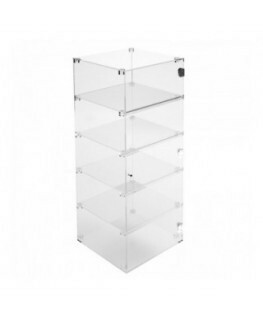 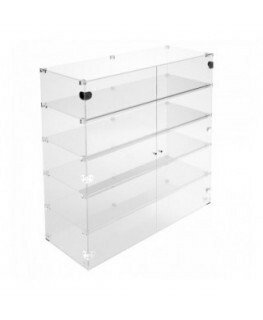 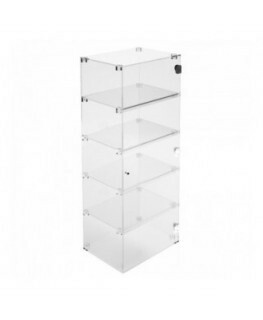 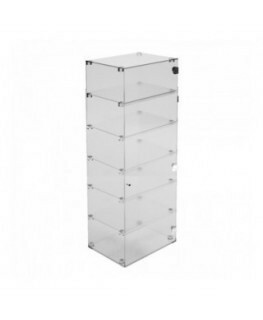 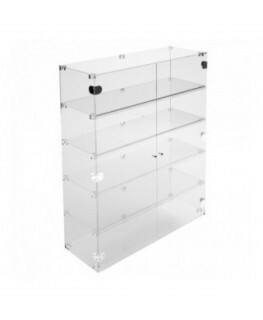 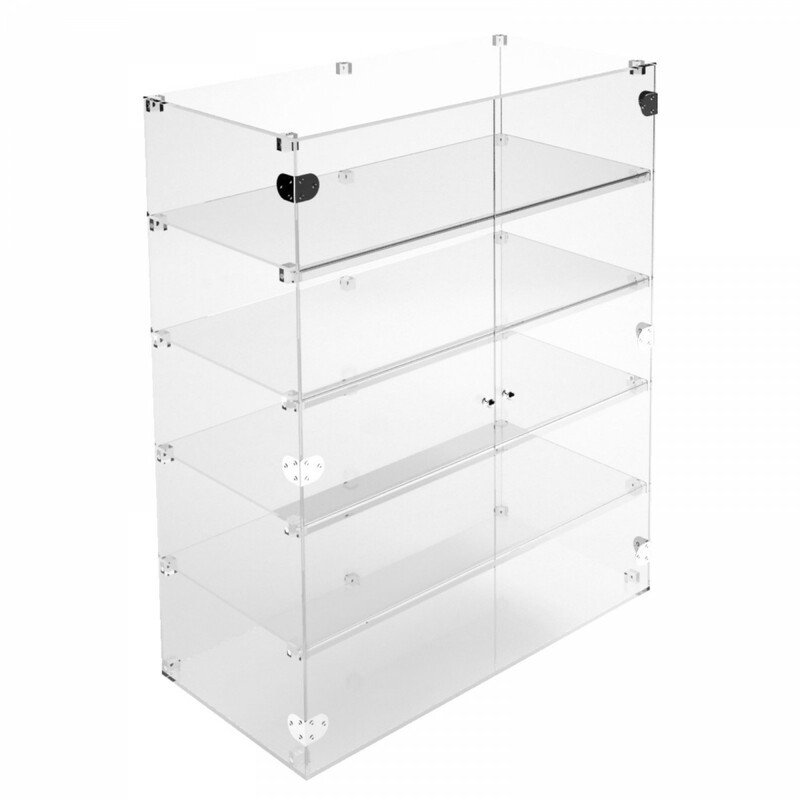 5-Tier Clear acrylic shelving display case ia an amazing way of displaying several items. 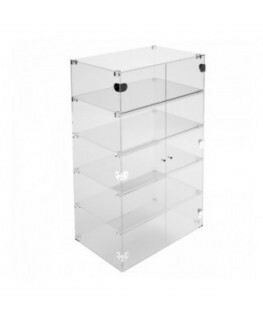 It is equipped with 2 doors and magnetic locks that protect all the items. 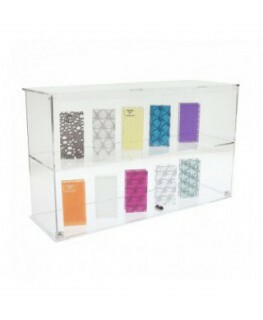 Made out of clear plastic, which allows customers to see the products, the display is resistant to scratches and easy to clean. 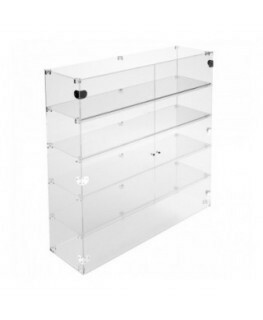 It is ideal for shops, jewelry stores, etc. 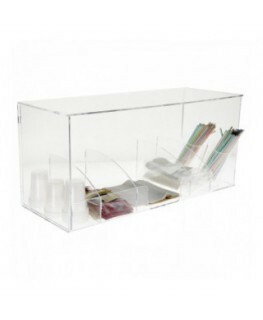 The assembly kit and instructions are provided. 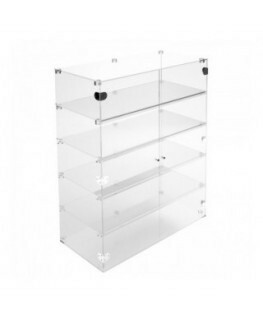 Il design, sinonimo di emozione, deve sapere descrivere attraverso il disegno qualcosa che vada oltre la forma trasformandolo in poesia”.